LabelsCoin blockchain is built on top of a copyright matching engine that will verify the status of a music against it license model, infringement, plagiarisms, redistribution rights and means. A universal Coin: the LABELSCOIN, LBSC is the fuels that will power all services that LABELS blockchain provides. We are already in talks with Copyright Collection Societies, Artists, Labels, physical and digital venues to make LBSC the preferred Coin for their upcoming music services, as they migrate to decentralized platforms. We envision LBSC will be used by the upcoming Music industry for various purposes including payment to authors, automatic audience monitoring etc. LabelsCoin Establishment’s vision and future business model and strategy are made up of three components: a digital currency, an online music recognition system providing real time royalties to music stakeholders and (iii) a patented industrial device. The end goal: LabelsCoin is building a solid, global music utility – an advanced blockchain the entire Music industry will use to create advantage, where all stakeholders can participate in a transparent and fair way. 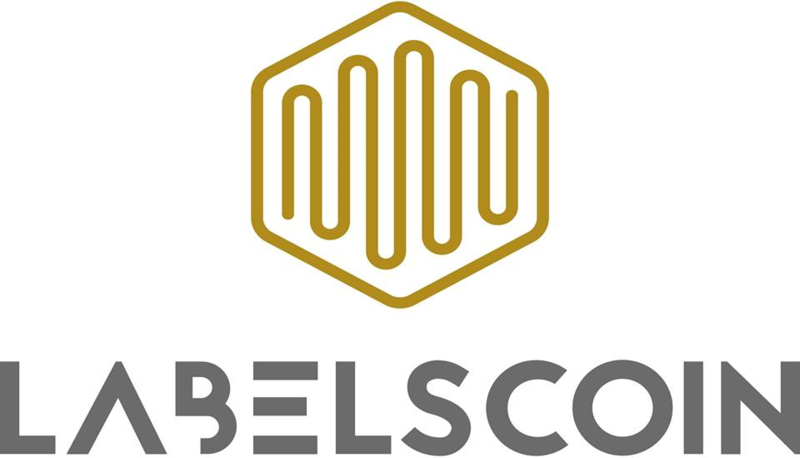 LabelsCoin is a project initiated by the Lichtenstein registered company LabelsCoin Establishment (Anstalt, FL-0002.585.337-7; Kirchstrasse 39, Vaduz, FL, Labelscoin.io).The company founder is Serena Spada (Ceo & Founder, inventor and head CTO), surrounded by her team composed of Gregory Krieger (CCO) and Sébastien Metthez (CTO). It provides next-generation royalties management services powered by our blockchain technology. We are focused on our mission to make the music industry fair and transparent to everyone. The blockchain based engine would provide the following benefits to the all stakeholders involved in the music value chain. LABELSCOIN will enable transfer of Tokens via the LABELSCOIN Wallet. Every platform user can choose between different blockchain assets as a source of payment within the LABELSCOIN Wallet. Further, the user can conveniently convert a wide range of blockchain assets such as Bitcoin (BTC), Ethereum (ETH), from one to another by simply using his personal LABELSCOIN Wallet. LABELSCOIN application facilitates the storage of the easy management of royalties portfolios, simple transfers of funds between peers, and a multitude of other functionalities. The LABELSCOIN Wallet plays a central role in the LABELSCOIN ecosystem. It serves as a secure wallet (cold storage) 3 for its users which allows to deposit and exchange cryptocurrencies as well as a solution to pay for music royalties. Moreover, the wallet will be connected to the leading crypto-exchanges. Our The majority of the tokens will be offered during the pre-sale and the main sale. The remaining tokens will be distributed among advisors, the team and bounties. 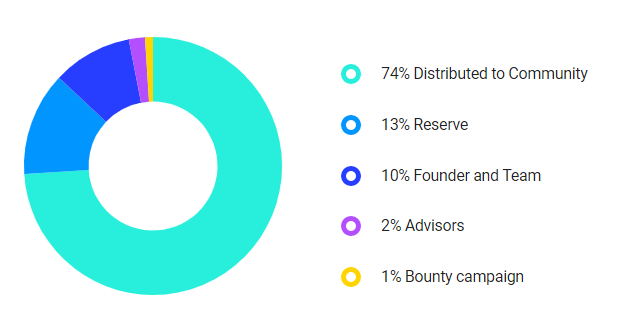 The following graphic shows the planed distribution of the tokens. We care of you. We are well-aware that such innovative technology, needs of energy and financial ressources to implement it into the market. Every aspect whether it is in R&D or in marketing is studied carefully to reach our common goal. End of market research, white paper 0.1 version, legal advice, build a team. LabelsCoin website and LBSC token creation, update white paper 0.2. Patent the device and first meeting with Financial Market Authority of Liechtenstein, update white paper 0.3. Genesis of LabelsCoin blockchain: genesis block creation, update white paper 0.4. Development of LabelsCoin blockchain, meet up conference Montreux Palace (Switzerland) press conference in Venafro, Italy. Legal advice of LBSC token, LabelsCoin officially International Trademark. Second meeting with Financial Market Authority of Liechtenstein, incorporation of KYC in our website, development of blockchain, meet up with Swiss Cyber Security in Geneva, Switzerland. PRE-ICO: 33.4% of the token will be on pre-sale to determine the price of the ICO. INITIAL COIN OFFERING, the 40% of tokens will be distributed. Finalization of the blockchain services. Go-live with blockchain services – Marketing campaign.